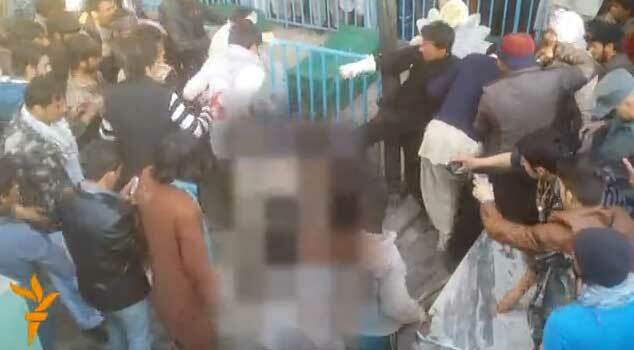 A woman is lynched on the streets of Kabul for supposedly “burning the Koran”. A man is sentenced to death for “reading incorrectly” in Pakistan. And Buddhist “blasphemy” charges sees three men jailed in Myanmar. Meanwhile, a Russian “blasphemy” case is thrown out of court, only for the Ministry for Culture to announce an “audit” of the accused theatre company! And after two years there’s been some progress at last in the investigation into the murder of an atheist accused of “insulting Islam” in Bangladesh — But why is the march of justice so slow? Afghanistan has seen an horrific mob “blasphemy” killing of a woman by a large crowd on the streets of Kabul (warning: even with partial pixelation, the video embedded at the link is upsetting). The victim is kicked and hit with sticks and rocks, and then reportedly her body was burned before being dumped in the river. Named as Farkhunda, the murdered woman was mentally ill, according to her family. Reportedly the mob violence began after someone accused her of burning a copy of Koran; this is a commonly cited spark for “blasphemy”-related mob violence, almost always in circumstances where a vulnerable victim is targeted by a crowd of men and not even any hint of verification for the claim is produced. “Some men in the crowd can be heard shouting “Allahu Akbar” (“God is great”). Interior Ministry spokesman Sediq Sediqqi said a probe into the “very unfortunate” event was under way. He also said that four suspects had been arrested in connection with the attack. The Reuters news agency quoted HRW’s Barr raising concerns as to whether enough had been done to stop the mob. In Myanmar, two Myanma and one New Zealander have been convicted and sentenced to two years each for “blasphemy”, on charges relating to an advertisement for a night at their bar. 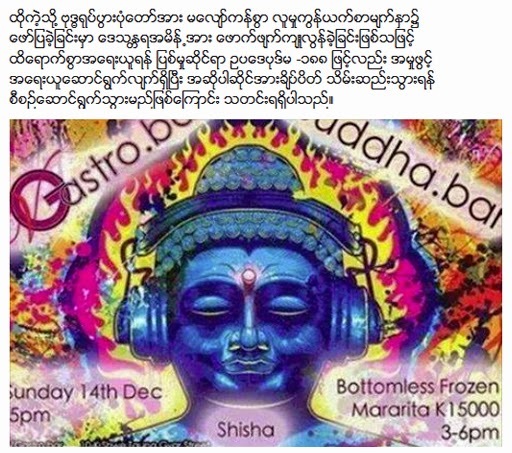 The advert featured an image of a Buddha wearing headphones against a psychedlic background. Much mainstream coverage failed to show the offending image, which is reproduced here. “Phillip Blackwood, 32, Tun Thurein, 40, and Htut Ko Ko Lwin, 26, were given two years for insulting religion and six months for disobeying an order from a public servant. The trial of V Gastro Bar manager Phillip Blackwood, bar owner Tun Thurein and employee Htut Ko Ko Lwin came as the predominantly Buddhist nation grapples with a surge of religious nationalism, including violence against members of the minority Muslim community. The three were arrested in December after the image was used on Facebook to promote the tapas bar and lounge, and sparked outrage on social media. “Blackwood’s Facebook post was hardly original. In different contexts it may not have even raised eyebrows. But in Myanmar, with Buddhist nationalism on an epic upswing ahead of this year’s general election, it was deemed criminal. The world has watched Myanmar’s recent political reforms with hope — hope that freedom of expression, democratic processes and religious tolerance would improve. Undeniable progress on some of these fronts has been tempered by crippling backslides. Websites have been unblocked and newspapers can now print opposition leader Aung San Suu Kyi’s face on the front page, but journalists are still being imprisoned for “upsetting the government” and killed in military custody. An incredibly po-faced report from Gulf News in Bahrain, laments a “highly controversial incident that amounted to defaming Islam and insulting its rituals”, and for which a high school student and two teachers face investigation. The offence in question? A singer a cellist set verses of the Koran to music. “…the education ministry said that it launched a probe after a video clip showing a student singing verses from the Quran accompanied with music went viral on the net and shook the nation. …On Wednesday, the Public Prosecution said it had ordered a student and his two music teachers to be held in custody pending further investigation. The three suspects face charges of profaning Islam and disrespecting its rituals, the Northern Governorate Chief Prosecutor Adnan Fakhro said. … The custody was decided following a probe into a video footage posted on social media websites and after an administrative investigation launched by the Education Ministry confirmed the incident, he said. At the United Nations, after paying lip service to a report by the Special Rapporteur on Freedom of Religion or Belief—which recommends abolishing all “blasphemy” laws—an official from Denmark nevertheless announced that the country would keep its “blasphemy” law, just in case! And three members of our Coalition took the fight against “blasphemy” laws to the UN Human Rights Council. It’s taken two years, but in Bangladesh a court finally indicted eight men on Wednesday, accused of killing or assisting in the murder of Ahmed Rajib Haider. 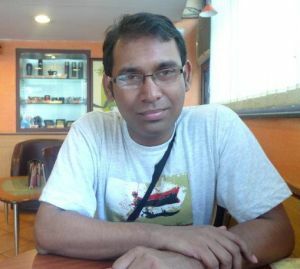 Haider was an atheist blogger involved with the Shahbag protests and the Mukto-Mona freethought website, who was hacked to death in a machete attack in 2013. The outrage was duplicated last month in a fatal attack on Avijit Roy, one of the founders of Mukto-Mona. Both Haider and Roy had been accused of “insulting Islam” and threatened over their writing, which criticises Islamism and Islamist political leaders and promotes freethought and secularism. Earlier in the week Avijit Roy’s father had echoed the concerns of many, about the police investigation into his son’s death. “”The progress of investigation is really very slow and I am concerned that the case may be buried without result, like many other cases related to such killings in Bangladesh,” said Ajoy Roy, Avijit’s father and also a secular writer and former professor at Dhaka University. A senior police official denied the allegations and said the investigation was taking its own course. Mohammad Masudur Rahman, deputy commissioner of Dhaka Metropolitan Police, said they were weighing information obtained from a prime suspect who had since been turned over to police custody. “We have confirmed that this was an act of extreme militants in the name of religion,” Masudur told Reuters, but added: “It might take some time to draw a conclusion.” An FBI team is now in the capital Dhaka to assist with the Bangladeshi police investigation. The “blasphemy” case against a theatre director in Russia over his production of the opera Tannhauser, which we reported last week, has in fact collapsed. 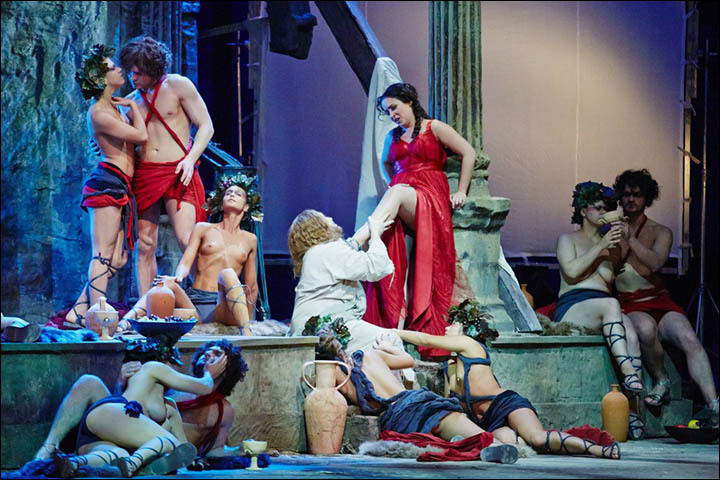 The accusation that the production, which updated the Wagnerian opera into a modern day setting, had “publicly desecrated the object of religious worship in Christianity – the image of Jesus Christ in the Gospels”, has been thrown out. Kulyabin and theatre director Boris Mezdrich had been facing the prospect of a fine of up to 200,000 roubles ($3,165) or even a jail sentence had they been convicted. But on March 10, Novosibirsk court dismissed the charges and said no crime had been committed. The news was welcomed by human rights campaigners who said the case had been a ‘court drama worthy of a theatre production itself’. …Following news of the criminal proceedings the 30-year-old director, who won Russia’s prestigious Golden Mask award last year, said it was ‘absurd’. Russia’s Culture Ministry announced plans Wednesday to launch a probe into a beleaguered Novosibirsk production of Richard Wagner’s “Tannhäuser,” which has provoked the ire of certain powerful members of the Russian Orthodox Christian community. 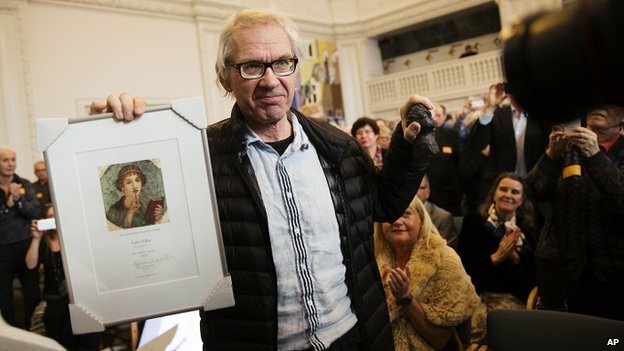 The cartoonist Lars Vilks, targeted in the recent attacks in Copenhagen, Denmark, has been awarded for his courage at a secure event held in the Danish parliament, hosted by the Danish Free Press Society. Receiving the prize, Mr Vilks said he had not aimed to become a symbol of freedom of speech. “I am an artist and my artwork is probably difficult to understand. Many have tried to understand what that dog is about. But I don’t even understand it myself. The armed security around the prize-giving – as well as its location in parliament – shows how much Denmark has changed since the February attack, says the BBC’s Malcolm Brabant in Copenhagen. Our correspondent says the show of force is something of a culture shock for what has been a peaceful and relatively secure country. Of course, not every official is so narrow in their vision, with some recognising clearly how oppressed religious minorities can be in Pakistan. Despite Tariq’s optimistic gloss on intercommunal relations, within days of this interview, on Sunday 15th, Taliban suicide bombers detonated multiple bombs targeting the Christian community in eastern Pakistan, killing at least 14 and wounding many more. “The reinstatement for all capital offenses means people found guilty of crimes including adultery, apostasy, and blasphemy could face death once they run out of appeals. This is especially concerning for Christians and religious minorities in the Islamic country due to inequalities in the justice system and blasphemy laws. Kristin Wright, advocacy director for Open Doors USA, called Pakistan’s justice system “flawed” and noted unfair trials are common. … Wright said reinstating the death penalty was “deeply concerning” because it “will put a lot of Christians at risk,” mainly because they are so marginalized in society. Pakistan is a difficult place for Christians, ranking eighth on Open Doors’ World Watch List. Over the weekend, a suicide bomber attacked two churches in Lahore, leaving at least 14 dead. Also, a court has ordered the Home Secretary to intervene and makes arrests in a case against Jang/Geo media group owner, Mir Shakil, the actress Veena Malik and several other accused Jang/Geo representatives, for committing blasphemy of “Ahle Bait” (the close family or descendants of Muhammed). Finally, it has been reported that on the request of the government, social media giant Facebook censored 54 posts for ‘blasphemy’ in Pakistan, in the second half of 2014. “In its latest bi-annual transparency report on requests made by governments to the social networking site released on Monday, Facebook said that it had received requests for blocking content from Pakistan’s National Response Centre for Cyber Crimes under local laws prohibiting blasphemy. This, however, was down from the massive 1,773 pieces of content blocked in Pakistan by the social networking site in the first half of 2014 following requests made by the Pakistan Telecommunication Authority and the Ministry of Information Technology to block content for blasphemy and criticism of the state.